Suitable from birth, this cuddly playmat is perfect for your little one to relax and snuggle against. 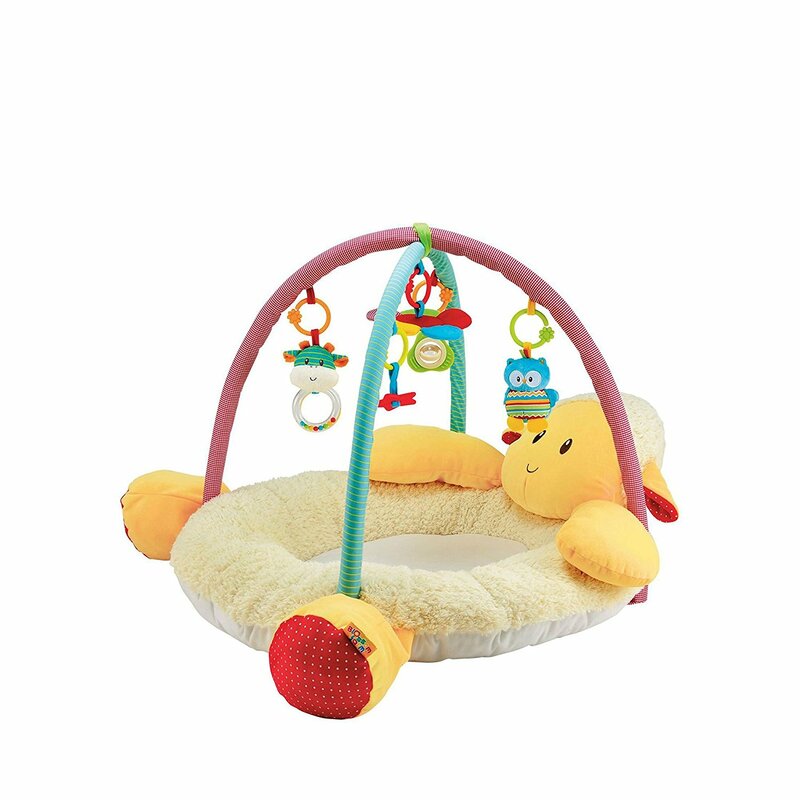 Including five hanging toys that rattle, squeak and chime, your baby will love reaching out to them and exploring the textures, the mirror and sounds, which stimulate the senses and boosts hand-to-eye coordination skills. 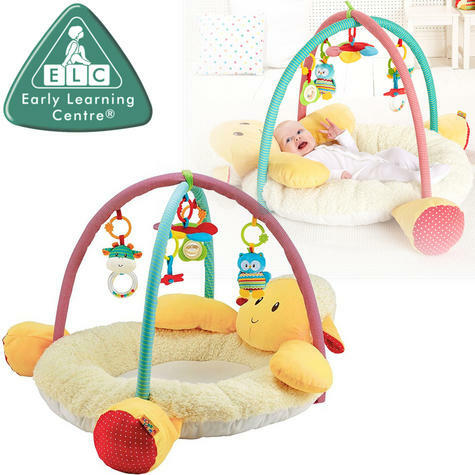 As they grow older and can roll over, the two arches can be removed and the toys can be detached for them to play with during tummy time play, and they can discover the lamb's friendly face and crinkly ears too. 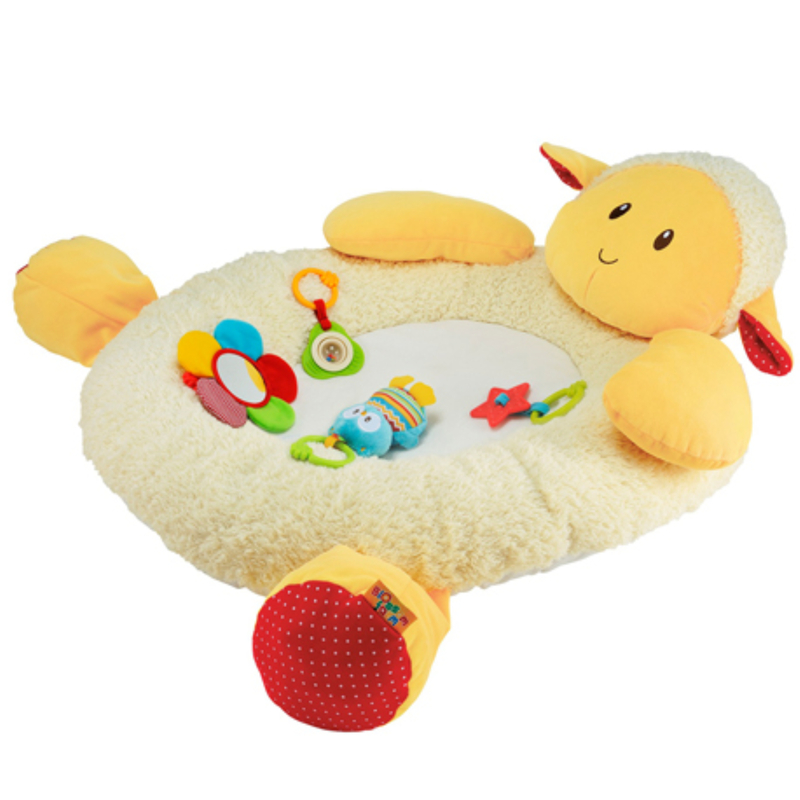 Once your little one can sit up, the Blossom Farm Snuggle Playmat provides a comfy place to sit as they play with their toys.